With the rise in metals over the last few weeks, most dealers are confident that the coin market will be very active in the last quarter of the year. 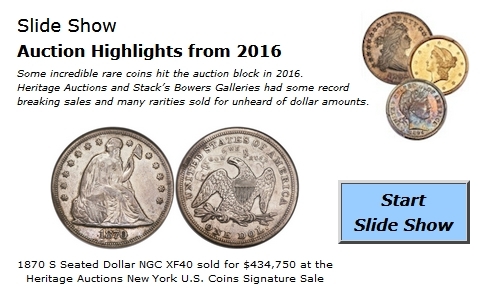 In addition, rare coins are showing a lot of increases and buyers are on a continuous quest for the best coins for their collections. Proof Gold Eagles in the original government package wholesale at $1,870 per ounce and the Silver Eagles are $53.50. Silver Dollars are up to $30,950 per thousand coin bag. In this week's HD Wholesale Market Dealer Price Guide the majority of price adjustments are to the upside. From Bust Halves to U.S. Gold, most charts contain at least a sprinkling of increases. The lone exceptions are Commemoratives, both Gold and Silver. Buyers remain on the sidelines waiting for this long downward cycle to turnaround; unless they can buy at substantial discounts. The Bust Half Dollar charts contain a variety of increases with MS64's looking very solid at current levels. The 1822 moved to a higher $3,925 Market, while the 1826 advanced to $2,950. The U.S. Gold series are all up sharply with bullion having advanced well over $100 in the last few weeks. The following better date coins are higher in this week's charts.